After the fall of the Galactic Federation, long-time lovers Lu Li and Xie Jianwei defeated the alien invaders, and formed the Empire with Lu Li as marshal. Everyone thought that all was well between them, but. Xie Jianwei one day found out that Lu Li’s personality had split into several parts. They were all individuals, yet still the same Lu Li. How could Xie Jianwei bear to watch as each Lu Li plot to kill the other? Xie Jianwei used his SSS-class spiritual strength to enter Lu Li’s inner world, where Lu Li was god/director/actor all in one. 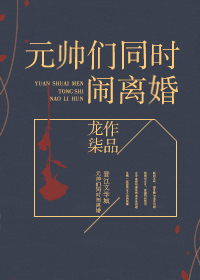 To get to the bottom of the mystery, Xie Jianwei had to act along Lu Li’s delusions, else the dreamworld would collapse, worsening Lu Li’s condition, and split the personalities even further. Very dramatic. True that it is fluffy, but too much bloody drama. Nit really a fan of this. On a more serious note, the author is amazing at character development. When I first came across this I didn't expect to be drawn into it at all, since the plotline revolved around the romance of two guys already in love, right? What else was there to plot about, y'know? But no, turns out that, just because they're together, it doesn't mean that life's perfect, even though it seems that way at first. Little details start popping up out of nowhere, and even as you coo over their romance your heart will twist into knots at all the bits and pieces marring that perfection. The author's really good at that, that slow reveal and slow heal sort of thing. I especially liked their attention to the little details - e.g. their personal habits, their individual likes and dislikes, significant moments of their pasts, etc, rather than just letting the character tropes of 'tall dark and handsome war god' and 'smart genius capable of great good and great evil with IQ' take over. This is really interesting since its premise is something I've not read before in BL webnovels. I really like how the premise sets up its multiverse as the inner world/dream of the ML and the MC has to go through solving the ML's inner conflict. It already seems so interesting with just 2 chapters so far so I have high hopes for this. This is a diabetes inducing novel. The love between them is so pure but because of this, they have so many misunderstandings! This is really unlike most transmigration/world-hopping novel because the premise is really fresh so I won't compare it to any other novels yet. I read the first couple of chapter last year and I'm really glad it's getting picked up but I couldn't help myself from reading the raws. I look forward to more because it is quite interesting to see how the protagonists ended up in the situation we first see them in. Will review more in depth later when more chapters are release or when I have to to go read the raws, whichever comes first.